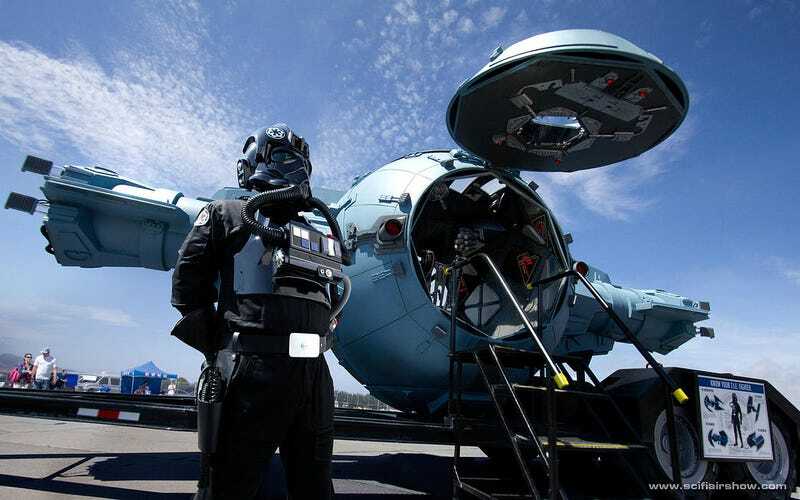 Airshows are always really awesome to visit, but what if you could walk up to your favorite science fiction spacecraft? That’s the aim of the Sci-Fi Air Show, a digital project that puts fictional spacecraft on display. Still, it’s a really cool project, and a neat way to think about some of the ships that you see out and about on your television screen. Somewhere, the Empire, Pan Am or the Colonial Fleet put on their own spaceshows for the general public. Check out the website for more pictures and descriptions!